I hear from hesitant job seekers every day. They’ve been searching for a new job for ages. When they finally receive an offer, they’re not sure whether to take it — not because of the money, but because of the office setup. For years, open offices have been all the rage. Many managers say the environment fosters collaboration and connection. But collaboration and connection don’t seem to be problems for those who do have their own offices — so what’s going? In reality, companies are trying to save money on real estate — and the employees are the ones who pay the price. 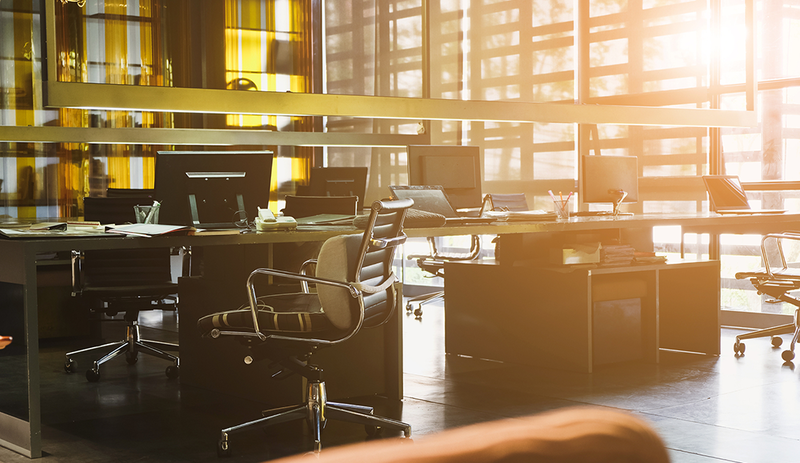 Study after study has confirmed that open office environments reduce productivity. According to the BBC, 70 percent of US companies are using open offices, yet these layouts reduce productivity by 15 percent. Open offices also make workers twice as likely to get sick, which means employees are using more sick days. So while open offices may seem to save on real estate, they actually cost companies a lot of money in terms of lost productivity. Chances are I’m preaching to the choir. I’ve never spoken to a single person who actually likes working in an open office. If open offices cause us to be less productive, less happy, and sick more often, what can be done? Companies could go back to the traditional model of having offices with doors, but that’s the most expensive option. A cheaper strategy would be to switch back to tall cubicles that provide more privacy, but this is also expensive, as it can take up valuable real estate. Perhaps the ultimate compromise would be more remote jobs. In other words: Allow employees to work from the comfort of their homes. I know, it sounds a little out there if your company has not tried it, but the benefits are pretty clear. In one case study, employees were more productive, happier, and less likely to quit their jobs, and the company saved $1,900 per employee on office furniture and space. Remote work has been a trendy conversation topic for some time. A handful of companies are doing it, but it would be great for companies to begin trying it in larger volumes. When an entire department works remotely, one person isn’t left out. Everyone learns to work together in this way. In addition, remote work would allow workers to redistribute themselves across the country to areas that were the best fit for them and their families. For example, someone working in Silicon Valley may want to relocate to a cheaper city that is closer to family. Today, companies should revisit their office strategies. They could potentially improve productivity, reduce costs, and gain access to a broader pool of excellent employees.